Agarwood is a kind of wood containing a lot of scented pineapple that many people want to use because of its excellent use as a cure for many diseases, bring prosperity and luck to the user. 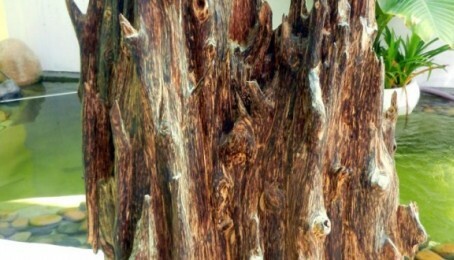 Agarwood is a very rare wood, the ancient people have the phrase "sucking to find the deep" to speak hardship when looking for this type of wood. Actually, aquilaria is formed especially seedlings, folk have been rumored that the incense in the wind has landed on the injured or damaged trees, long time these trees will become acacia. Often the bulbous plants have many ugly shapes, damaged by environmental impacts or boom shells that cause rot or dry trees. Highlights of the incense is the smell of special burning or burning. When the oil content is greater than 25%, aquilaria may be submerged in water. High grade aquilaria can reach 60-80% oil content. Color, flavor, shape, weight, origin ... but incense has different names such as: Eye, eye, bass, bass, bass leopard prints, moths, moths, moths, moths, moths, moths. It is a low-oil, heavy, bitter incense, most of which burn in fragrance, white smoke, fly around and then melt away. Agarwood is classified six types with six colors of different ​​in which white wax is the highest value brings many good omen for you. Almost the speed with very little oil is considered to be the lowest in Agarwood. There are many types, but typical are: Leeching speed, wire speed, velocity, pi speed. In 4 speed groups, speed is higher in terms of quality. However, clustering does not necessarily follow the hierarchy. At present, there are no regulations of the State or non-governmental organizations on standards for classification and evaluation of aquilaria. Frankincense in the tree. But not everyone who grows the gourd can make a living. Species that are suitable for deep bass are indigenous species, which are widely distributed throughout the mountainous areas of Vietnam. They are concentrated in the mountainous areas of North Central, Central, South Central, Tay Nguyen, Phu Quoc Island and Kien Giang Province. Seven Mountains in An Giang province. Frankincense in the tree. But not everyone who grows the gourd can make a living. Species that are suitable for deep bass are indigenous species, which are widely distributed throughout the mountainous areas of Vietnam. They are concentrated in the mountainous areas of North Central, Central, South Central, Tay Nguyen, Phu Quoc Island and Kien Giang Province. Seven Mountains in An Giang province. Frankincense is a rare and expensive medicine in Eastern medicine, spicy, tempered, 3 spells, taste and kidney, the effect of reflux, ventricles, abdominal pain, vomiting, gastric ulcer, asthma, urinary retention. In addition, it also has analgesic, calming effect. Previously, incense is regarded as precious, only to pay tribute to the emperor, today thanks to scientific development, incense is used as a flavor for fine cosmetics, do Medicines for curing critical diseases. Price of incense type 1 in the world 6000 USD - 6500 USD / kg, the price of oil is about 9000 USD per liter.